Many Christians believe that once we are saved, past wounds, hurts and even consequences from mistakes get swept away. Yet what happens if we continue to be plagued with spiritual and emotional problems, and the intimacy we long for with Christ seems elusive? What we need, says inner healing expert Charles H. Kraft, is deep-level healing: healing for our whole person--spirit, body, mind, emotions and will. 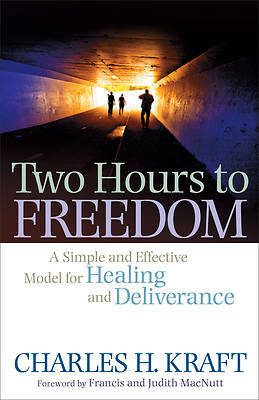 Using a simple, proven process, refined through 25 years of successful ministry, Kraft leads readers step by step through deep-level healing. Once you experience true freedom, you will find the intimacy with Jesus that you desire, and you'll be equipped to help others find this freedom as well.